There is no question that online shopping represents a huge opportunity for a business to market to the masses in an affordable way. The first step for entrepreneurs seeking to sell products via the Internet is to decide how best to create an online store that meets their security and marketing needs and that is both affordable and easy to use. Compatibility is also a concern for entrepreneurs seeking to integrate the store with their other marketing strategies and tools. Major players using the hosted shopping cart business model include Yahoo, Volusion and Shopify. While they offer a shopping cart that can be used to process payments, customers are forced to conform with their website builder and are limited in design options as a result. In addition to the learning curve associated with using these hosted shopping carts, there are also hidden fees and transaction fees to be evaluated as a part of the true cost of using these services. Most notably, Amazon and eBay stores offer another option for companies seeking to sell online. One complaint that online entrepreneurs have about this type of partnership is that they must use an eBay or Amazon URL instead of establishing a Internet identity separate from these Internet giants. Companies that decide to work with these stores also find that they have very little flexibility building the site since they are limited by eBay or Amazon tools and regulations. The beauty of HostPapa eShops is that any website currently being used can be transformed into an online shopping venue with a few simple steps. For this reason, online entrepreneurs interested in integrating a store with other viable marketing tools already in place, are satisfied with HostPapa eShops flexibility. This hosting company also allows its business partners the advantage of customizing the site according to the marketing vision of the company without sending a mixed message or limitations imposed by overbearing partners with other agendas. Another nice feature worth mentioning is how a HostPapa eShop can be created using WordPress, Blogger, or any other platform. This is a great news for website owners already familiar with a specific platform. Saving time by utilizing familiar tools to get an online store up and running in a short period of time definitely puts smiles on the face of webmasters. Estimating the cost of using a service should not be difficult. Hidden fees and transaction fees can really start adding up. This is one huge reason why HostPapa eShops is so well received. There are three basic packages to choose from, with three low monthly fees. These fees are determined by the monthly sales volume. The Starter package is $9.99 and allows for up to $1000 in sales. The second package which is called the Advanced option costs $19.99 and allows for up to $10,000 in sales. The final Ultimate package costs $49.95 and allows for an unlimited sales volume. All three packages accommodate an unlimited number of products and product categories. Other noteworthy features of all of the packages include multiple payment options with all credit cards accepted. Unlimited email accounts and web space is also offered by all three packages. 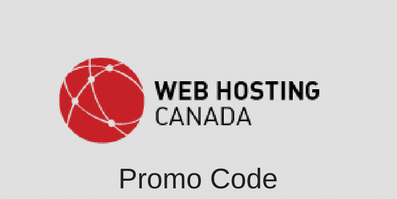 HostPapa eShops offers customer service and technical service 365 days a year, 24/7. They also offer this support with representatives that speak different languages. Since the Internet is a 24/7 shopping reality, the fact that business professionals can count on support whenever the need arises provides an extra level of comfort. This entry was posted in Articles on March 27, 2013 by Jared C. Brown.